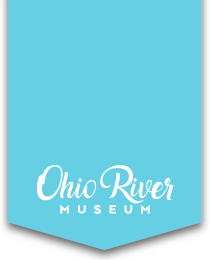 Exploration of Ohio River valley began in the 1700’s. But there were cultures living in the area far earlier. Exhibits bring to life the timelines and details of prehistoric residents of the Ohio Valley area. The Marietta Earthworks’  Adena/Hopewell mounds were the first in the country – in 1786 – to be documented and studied. Visitors will see maps, details, and rare artifacts. And, Native Americans (“Indians”) inhabited the area as white settlers infiltrated the region. 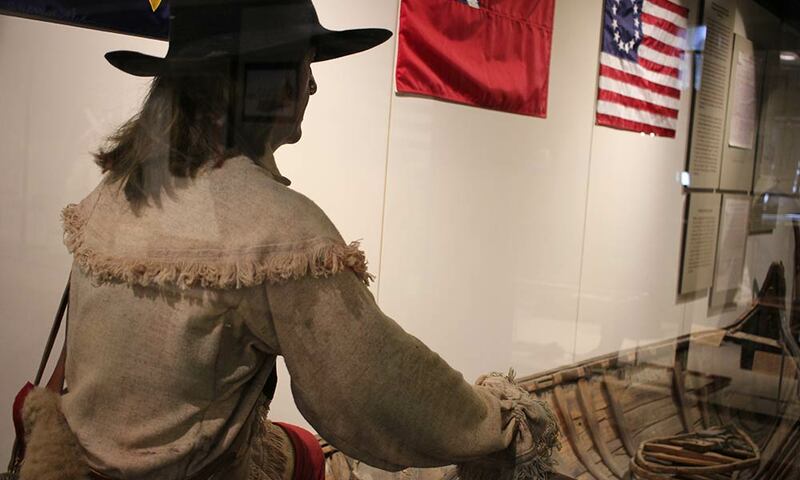 Exhibits include details about their clothing, trade, tools, and culture. Beginning of America’s Start Westward. This landmark act of the Continental Congress created a new territory and set up its government. It also included important concepts – such as trial by jury, prohibition of slavery, freedom of religion, encouragement of education – which were later enshrined in the Constitution and Bill of Rights. The Ordinance established criteria for formation of states within the territory. That basic formula became the standard for acceptance of all states into the union. Settlement of Marietta began on April 7, 1788 when a group of 48 surveyors and builders arrived by boat to lay out and establish a new town. The new settlement was also the first seat of government of the Northwestern Territory. Many Revolutionary War veterans were granted lands in the Northwest Territory in lieu of payment for their tour of duty. General Rufus Putnam, friend of George Washington, led the Ohio Company to the Ohio and Muskingum Rivers to claim their land grant. 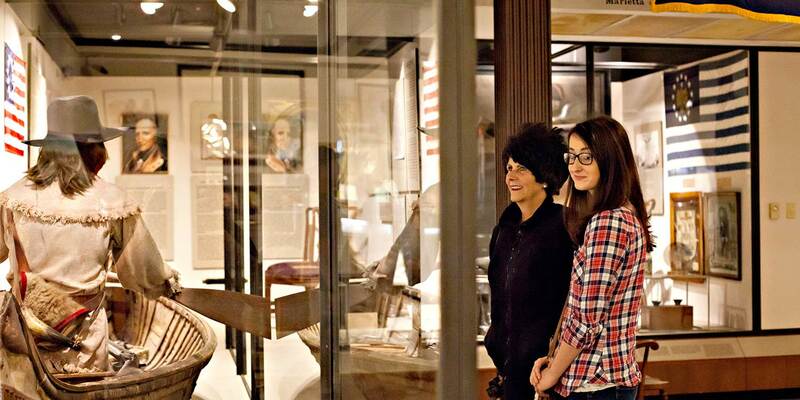 Campus Martius Museum exhibits a large collection of original artifacts, documents, and possessions from these pioneers. 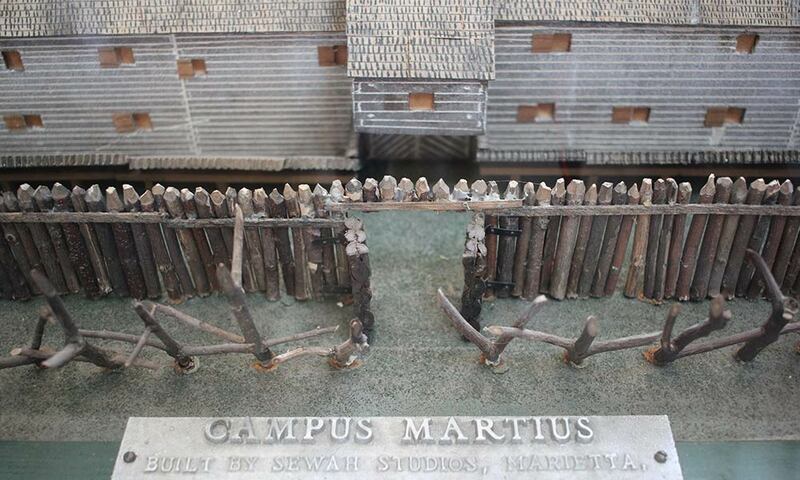 Learn about colonial migration, Indian treaties, fort building, city planning and more. The Ohio Company of Associates was formed in 1786 by General Rufus Putnam, Rev. Manasseh Cutler, Samuel Holden Parsons, and Benjamin Tupper with goal of acquiring and settling land in the Ohio Country. After Congress enacted the Ordinance of 1787, creating the Northwest Territory, the Ohio Company made its purchase. Rufus Putnam led the first group of settlers to the Ohio and Muskingum in 1788. 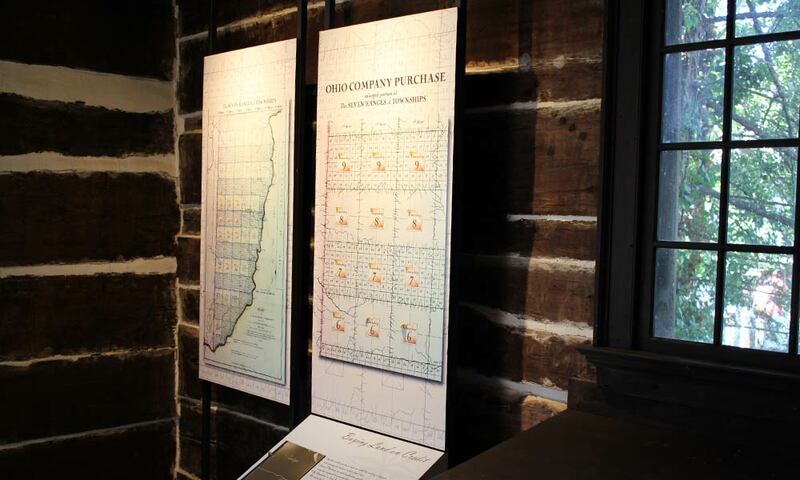 Tour the original Ohio Company Land Office where Rufus Putnam worked, oldest known building in Ohio. Walk in the steps of hopeful land owners, view the maps and stake your claim in the Northwest Territory. Fort Harmar was built in late 1785 at the mouth of the Muskingum River and occupied in 1786 by a battalion of regiment under Major John Doughty. It was named for Doughty’s superior, Colonel Josiah Harmar, who commanded the First American Regiment, at the time the sole unit in the U. S. Army (then a loose collection of state militias). The mission was to protect surveyors and remove squatters from lands that would become a new territory of the United States. It also provided protection for new settlers in the area and was the site of the Treaty of Fort Harmar, signed with several Indian tribes in 1789. The Fort was abandoned and soldiers relocated to Fort Washington near Cincinnati in 1790, an outpost nearer the area of Indian unrest at the time. Life on the frontier was challenging and very different for those who moved from New England. You will learn how they adapted to their new lives with courage and ingenuity. Originally a blockhouse in the Campus Martius (Latin meaning “Field of Mars”) fortification, the Rufus Putnam House remains in its original location. Most of Campus Martius was disassembled and used in the settlers’ new construction, but General Putnam chose to remain on the bluff above the Muskingum River. The Rufus Putnam House is now restored to its original configuration. 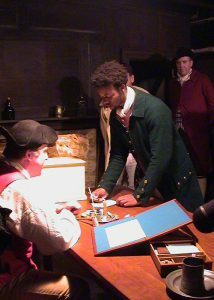 Step back into to time and see how a pioneer family lived in the 1780s. 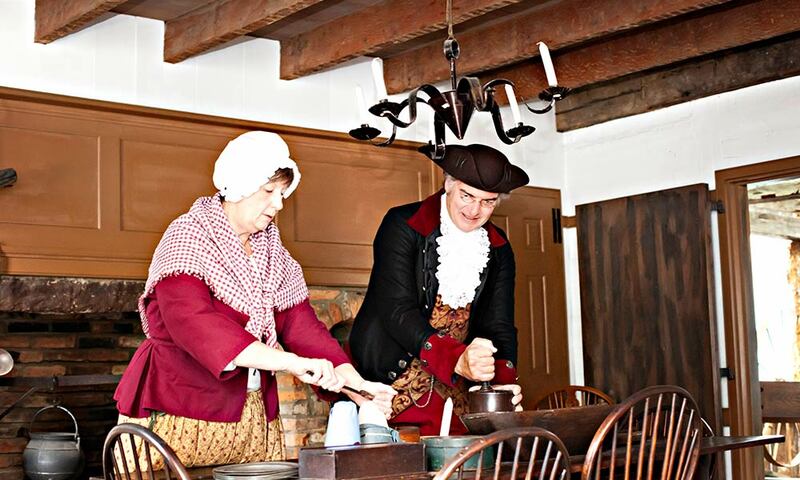 Interpretive guides will show you how Mrs. Putnam cooked wild game on an open fire, where General Putnam kept his private papers, and how the Putnam family “slept tight” in their bedchambers.